November 5, 2013 /0 Comments/in Foot Health & Hygiene /by Jenn F.
How many times have you noticed a small cut on your foot? Imagine a tiny foot wound the size of a coin killing an otherwise healthy 59-year-old man in just 28 hours. That’s what happened in Florida this month after vibrio vulnificus bacteria spread over Henry Konietzky “like acid,” according to his wife. 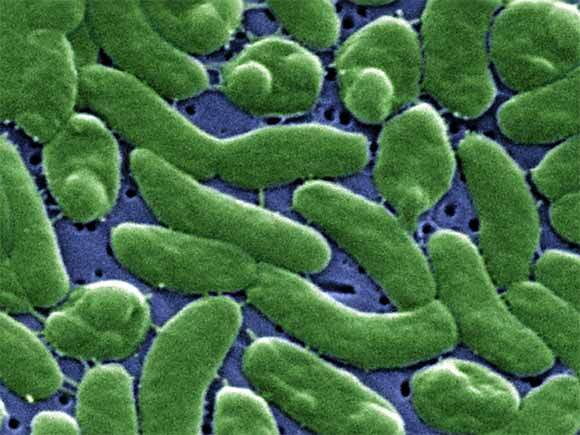 Nine others have died from a similar infection this year, prompting local health officials to warn locals about their contact with saltwater, where this flesh-eating, gram-negative bacteria thrives and breeds. According to the Daily Mail, Mr. Konietzsky had accidentally stepped on some ants before getting into the water, sustaining small bites that became portals for infection. Other patients have contracted the illness by eating contaminated raw seafood (particularly oysters), which leads to vomiting, diarrhea, and severe abdominal pain. For David Bruns, a Tampa resident on vacation with his wife, it was more than fever and the chills. A purplish discoloration began spreading up his leg after a Madeira Beach vacation. The doctors began sawing away at the infected skin, which ran from the back of his left thigh to his foot and below the knee to his toes. He was one of the lucky ones who survived. According to Diane Holm, a spokeswoman for the Florida state health department in Lee County, nine people died from vibrio vulnificus in the state last year, and 13 died in 2011, so the statistics aren’t terribly alarming. Yet, the media has been paying increasing attention to gram-negative bacteria recently and more families have been willing to speak about their experiences. Keep An Eye On Your Feet & Stay Protected! Most of these cases seem almost inevitable. The littlest wound suddenly turns into an avenue for infection. Yet, being aware of open wounds on our bodies is an important step toward staying safe in our environment. Powerful UVC light is used in hospitals to sanitize rooms of harmful pathogens — even gram-negative bacteria that is unresponsive to the best antibiotics we have to offer. We use this same technology in the SteriShoe UV shoe sanitizer to eliminate bacteria, fungi, yeast, viruses and contagions. We can’t stop you from stepping on an anthill barefoot, but we can prevent your footwear from becoming a Petri-dish of infectious materials!